Rudjer Joseph Boscovich (18 May 1711 - 13 February 1787), was a Jesuit, physicist, astronomer, mathematician, philosopher, diplomat and poet. He is famous for his atomic theory, given as a clear, precisely-formulated system utilizing principles of Newtonian mechanics. This work inspired Michael Faraday to develop field theory for electromagnetic interaction. Boscovich also gave many important contributions to astronomy, including the first geometric procedure for determining the equator of a rotating planet from three observations of a surface feature and for computing the orbit of a planet from three observations of its position. Born, Oliver Heaviside, self-taught British engineer, mathematician, physicist. Although at odds with the scientific establishment for most of his life, Heaviside changed the face of mathematics and science. A. Charlois discovered asteroid #403 Cyane. J. Helffrich discovered asteroid #714 Ulula. H. E. Wood discovered asteroid #758 Mancunia. S. Belyavskij discovered asteroid #978 Aidamina. H. E. Wood discovered asteroid #2193 Jackson. L. Boyer discovered asteroid #1601 Patry. Jackie Cochran became the first woman to break the sound barrier, flying in a F-86 Sabrejet at an average speed of 652.337 miles per hour (1049.835 km/h) at Rogers Dry Lake, California. The US Air Force launched the Jupiter Gaslight Re-entry Vehicle Test mission which reached a apogee of 500 km during its 1,275 nm, 960 second flight. It was the first flight test of first and second stage separation. NASA launched the X-15A-2 Stab, landing, ST Test mission # 132 in which John McKay reached a maximum speed of 5699 kph (Mach 5.17) and a maximum altitude of 31.120 km. The US Navy launched Transit 16, part of Transit navigation satellite system. Some reports indicate it was actually a different spacecraft for auroral and ionospheric research, and not part of the navigation system. NASA launched a Thor Agena D carrying the Nimbus B and Secor 10 satellites. The spacecraft never achieved orbit because of a malfunction in the booster guidance system forced the destruction of the rocket and its payload during launch. The Nimbus-B meteorological research and development satellite, launched 18 May 1968, was designed to serve as a stabilized, Earth-oriented platform for the testing of advanced systems for sensing and collecting meteorological data. 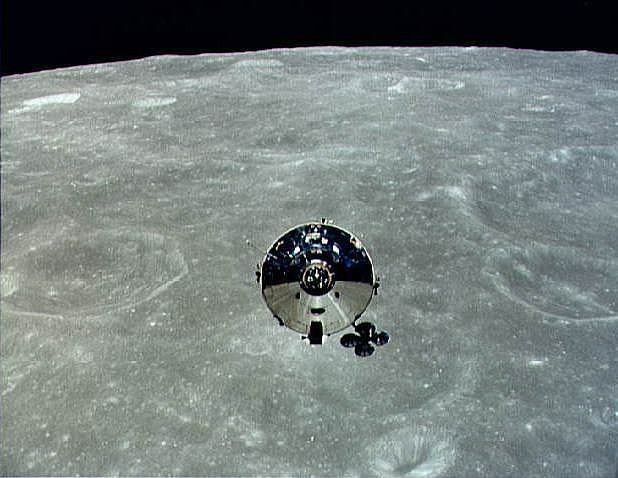 The spacecraft consisted of three major structures: (1) a sensor mount, (2) solar paddles, and (3) the control housing unit, which was connected to the sensor mount by a truss structure. Shaped somewhat like an ocean buoy, Nimbus-B was nearly 3.7 m tall, 1.5 m in diameter at the base, and about 3 m across with solar paddles extended. The torus-shaped sensor mount, which formed the satellite base, housed the electronics equipment and battery modules. The lower surface of the torus provided a mounting space for sensors and telemetry antennas. An H-frame structure mounted within the center of the torus provided support for the larger experiments and tape recorders. Mounted on the control housing unit, which was located on top of the spacecraft, were Sun sensors, horizon scanners, gas nozzles for attitude control, and a command antenna. Use of the attitude control subsystem (ACS) permitted the spacecraft's orientation to be controlled to within plus or minus 1 degree for all three axes (pitch, roll, and yaw). Primary experiment subsystems on Nimbus-B consisted of (1) a satellite infrared spectrometer (SIRS) for determining the verticle temperature profiles of the atmosphere, (2) an infrared interferometer spectrometer (IRIS) for measuring the emission spectra of the Earth-atmosphere system, (3) both high- and medium-resolution infrared radiometers (HRIR and MRIR) for yielding information on the distribution and intensity of infrared radiation emitted and reflected by the Earth and its atmosphere, (4) a monitor of ultraviolet solar energy (MUSE) for detecting solar UV radiation, (5) an image dissector camera system (IDCS) for providing daytime cloudcover pictures in both real-time mode, using the real-time transmission system (RTTS), and tape recorder mode, using the high data rate storage system (DHRSS), (6) a radioisotope thermoelectric generator (RTG), SNAP-19, to assess the operational capability of radioisotope power for space applications, and (7) an interrogation, recording, and location system (IRLS) designed to locate, interrogate, record, and retransmit meteorological data from remote collection stations. The spacecraft never achieved orbit because of a malfunction in the booster guidance system forced the destruction of the spacecraft and its payload during launch. Less than a year later, an identical payload was successfully flown as Nimbus 3. NASA launched Apollo 10 (AS 505) to Lunar orbit, the final full-up test mission before the Moon landing of Apollo 11. The astronauts named their Command Module "Charlie Brown" and the Lunar lander "Snoopy." US reconnaissance satellites detected the USSR N1 Moon rocket being installed on launch pad 110 west at Baikonur. It remained there, without a payload, at least through 4 June. Felix Aguilar Observatory discovered asteroid #2691. The Warsaw radio mast, the tallest construction ever built at the time, was completed. It remained the tallest construction in the world until its collapse on 8 August 1991. USSR launched Cosmos 818 into orbit for investigation of the upper atmosphere and outer space. E. S. Bus discovered asteroid #3598 Saucier. A. Mrkos discovered asteroid #2304 Slavia. During the 3h 3m Salyut 7 EO-3-5 extravehicular activity (EVA), cosmonauts Leonid Kizim and Vladimir Soloviyov installed two solar array extensions on Salyut 7. USSR launched Soyuz TM-12 to the Mir space station, the second commercial flight, carrying Helen Sharman, a British passenger whose flight was partly sponsored by private enterprise. Soyuz TM-12, launched 18 May 1991, docked with Mir for Mir Expedition EO-09. It carried Anatoli Artsebarski, Sergei Krikalev, and Helen Sharman to Mir, and returned Artsebarski and the crew of Soyuz TM-8 to Earth. It was the second commercial flight, with a paying British passenger. The sponsoring British consortium was not quite able to come up with the money, however. The flight continued at Soviet expense with very limited UK experiments. The first flight of the DC-XA was launched. The aeroshell caught fire during the slow landing. The DC-X reached altitude of 244 meters during its 62 second flight. NASA launched a Pegasus XL carrying two satellites, TERRIERS and MUBLCOM, into orbit. TERRIERS, launched 18 May 1999 on a Pegasus XL with MUBLCOM, was part of NASA's Student Explorer Demonstration Initiative (STEDI), a precursor program to the UNEX (University Explorer) series. STEDI was managed by USRA (the Universities Space Research Association) for NASA, while UNEX was to be more directly managed by NASA-GSFC (Goddard Space Flight Center). TERRIERS was to be operated by the space physics group at Boston University for ionosphere studies, and carried TESS, a set of extreme ultraviolet (EUV) spectrographs to get electron density and thermosphere emission profiles. The GISSMO instrument measured the solar EUV flux. The spacecraft was built by AeroAstro and based on HETE. TERRIERS was placed in the correct orbit, but it failed to orient its solar panel to the Sun and ran out of battery power by 20 May 1999. Controllers were optimistic that when its orbit processed to a better sun angle the satellite could be revived. MUBLCOM was launched 18 May 1999 on a Pegasus XL with TERRIERS. After deploying the TERRIERS satellite, the conical Payload Adapter Fitting (1998-26E) was jettisoned at 05:21 GMT, leaving the disk-shaped MUBLCOM satellite attached to the Pegasus XL PRIMEX HAPS-Lite stage. The second HAPS burn at 05:22 GMT raised apogee to 775 km, followed by a third, apogee burn at 06:10 GMT which circularised the orbit. MUBLCOM was deployed to a 769 km x 776 km x 97.7 degree orbit. The final HAPS burn then placed the depleted HAPS stage in a lower 388 km x 722 km x 97.1 degree disposal orbit. MUBLCOM (Multiple beam Beyond Line-of-sight Communications) was an experimental satellite funded by DARPA and managed by the US Army's Communications-Electronics Command (CECOM) at Ft. Monmouth, New Jersey. It was built by Orbital Sciences using the Microstar (Orbcomm type) bus and carried a payload testing hand-held radio satellite communications for the armed forces. The US National Reconnaissance Office launched USA 158, a military communications technology satellite, into geostationary orbit. The satellite carried an experimental laser communications payload, and an operational UHF data relay payload.